Thermax Insulation a type of insulation that is manufactured by the Dow Chemical Company. It comes in boards that can easily be cut, so no special equipment is needed in order to install it. It is easy to install in any type of building. It can be used as an interior finish for ceilings and walls on buildings framed in metal, wood board, or concrete. 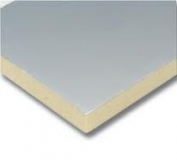 The boards are also very lightweight which makes installation much easier. Because Thermax Insulation is made of rigid foam that is made from hydrocarbon blowing agents, it does not pose any risk to environment. It is also water resistant and can stand up to many harsh chemicals. It is not even damaged by alcohol-based paints. This type of insulation is used on many buildings these days because it is better for the environment, but it also does a great job of keeping buildings warm or cool. There is even a thermos that uses this same material and it too does an excellent job of keeping temperatures controlled. Because Thermax Insulation does not need any barriers in order to do a good job of insulating, it is a great option. It can be used in addition to other types of blown in insulation, which will make the temperature even easier to control. Controlling temperatures is a good way to keep the cost of heating and cooling down. Buildings must meet certain standards in order to use this insulation, but those that meet the standards may be eligible for certain tax advantages. When it comes to controlling temperatures, saving money, and protecting the environment, Thermax Insulation is quite often a very good option. Because it is so easy to install and can stand up to such harsh weather and chemicals, it will also last a great deal of time. However, this insulation is also extremely combustible, so it must be installed under the guidelines posted in the instructions. Many corporations of reported great success with this insulation, so anyone who is in need of new insulation should consider using it. It can be a huge asset in the long run because of lower heating and cooling costs.